This article would explain all about the common multipliers for valuation and other types of valuation methods that are needed for a sound company valuation. If you are about to sell your business, maximize its value, or even if you want to know how much your business is worth, it is vital to know the various aspects involved in the business valuation. Normally, when you begin researching about business valuation, you would find terms like common multipliers for valuation, net income or EBIDTA. You may have even come across how to value your physical assets vs. goodwill. While these terms and rules for valuation methods may seems set in stone, with our experience in the industry, we have found out there aren’t hard and fast rules that are applied during the company valuation process. Instead, the main point behind this is to understand the nature and the industry of the business. This article would explain all about the common multipliers for valuation and other types of valuation methods that are needed for a sound company valuation. Operating a business normally requires knowing the value of your company from time to time. And if you have not done the company valuation as of yet, it is advisable to have it done soon. To understand business valuation better, the very first thing that you should keep in mind is that valuation is like a “subjective science.” Subjective, because each buyer has their own different considerations when valuing a company. So, for the same business there can be two or three offers, but all three might be entirely different. Science, as part of the company valuation means that many types of valuation methods are applied at the time of valuing a business. There is a saying, “Value is calculated. Price is negotiated.” This means that there isn’t a fixed formula on how the types of valuations methods are applied for finding the value of your business. The value of your company would always be what you are willing to sell it for and what the buyer is willing to pay. Nevertheless, there are a few frequently used valuation methods that would be able to help you in starting the negotiation process. The overall ideas are simple, but it is vital that you understand the details to see if the calculations are right. Let us begin with the profit multiplier method. In this method, the name says it all. The value of the company is calculated by multiplying the profits of the business. This is also called the Price to Earnings or P/E Ratio, where the price is the value of the company, and earnings is the profits that the company earns. Let us take for instance that your company has a yearly net profit of about $500,000, and you utilize a multiple of 5. With this information, you company value would be calculated as 5 x $500,000 = $2,500,000. Even though the calculations seem very simple as compared to the other types of valuations methods, the profit multiplier method quickly becomes more complicated as the company grows and there are fluctuating profits every year. We can also look at the calculation above through the buyer’s viewpoint. It means that until the business runs well and makes profits every year, the buyer would get a rough amount of $500,000 every year when they make an investment of $2,000,000 with a return of 25%. As soon as five years are over, they would get the complete amount on the investment, plus the return they made. Moreover, as compared to the bank or any types of investments, this type is the most profitable. In case the pre-tax is used, the common multipliers for valuations on the profit for small companies would be mostly between 3 and 4. There are a few times where it can also be 5. As a matter of fact, the P/E multiples might be applied higher for larger private and publicly traded companies, where the P/E multiples can be anything from 7 to 12. There are a few cases where the growth potential is high, and the P/E multiples are even higher. This is one of the reasons why large corporations can take over a small company and immediately revalue them at a much higher price. This common rule of thumb for multiples could be utilized as a benchmark while we look at the procurement rates of businesses. In short, the multiple that you would use for finding the value of your company would have a huge effect on the valuation. A large business with a good profit track record and many buyers in line would be valued with a much higher profit multiple. Other than that, some other aspects are shared below that would help you understand the concept in depth. Adjusted profit basically means that the owner is not able to pay themselves a salary for increasing the value of the business. Let us say that your company earns about $50,000 profit, but after a review of your company, it was found that the owners do not take any salary. Before we can move further, here is a point that you need to know. When market-based salaries are given out and the profit reduces to zero, this in turn reduces the value of the company. A lot of the business owners usually take salaries that are below the market value so that they can enhance the cash flow in the business or for tax reasons. The buyers understand this procedure and request that the salary of the owner should be taken into account. This is the reason why the adjusted profit is used. Obviously, reducing the owner’s salary is not the only thing. There are many other transactions that are there as exceptions. This includes situations where you own the business premises, or you might be working from home. You would benefit from not paying rent or paying a lower rent, which would not be the same for the new buyer. In short, the buyer would want to be assured that the company’s profit would be accurate and the company would still make a similar amount of profit and revenue after the owner is gone. This concept is called Seller’s Discretionary Earnings or SDE. This is measured by EBITDA, which is Earnings Before Interest, Taxes, Depreciation, and Amortization. Along with this, it is also calculated by adding the salary, perks, and compensation of the owner as well. Let us say last year, the profits were good for the company, so you would obviously want to highlight these numbers in front of the buyers. But you need to know that the buyers would want the average profit calculation that was generated in the last few years, as they would want to know what they would get for the long term after buying the business. That is not all in a profit multiplier. There are many more types of valuations methods and processes attached to it. For many companies out there, it is better to make the corrections needed in the profit multiplier calculation, like the Earnings Before Interest and Tax (EBIT). The EBIT is the adjusted profit that the business makes before the effect of interest and tax is included. This is one of the types of valuations methods that is used when a company is sold or valued based on the the surplus cash removed from the balance and debts. It gives a demonstration of the earnings of the business that is without the destabilizing impact of surplus cash balance or debt. Are you wondering why the valuations are calculated without tax? Well, the reason is simple. As soon as a company is merged into a larger group of corporations, the tax position of the entire group would be different. The company valuation is entirely based on the profit after tax only when both the parties (buyer and seller) understand and account for it. It should also be kept in mind that in case they are based on the pre-tax profit, the common multiples for valuation will be less. Earnings Before Interest, Tax reduction, Depreciation and Amortization (EBITDA) is similar to EBIT. It demonstrates that adjusted profit is without the influence of any improvements due to the repayment of any business loans or devaluation of assets. The DCF, also called the discounted cash flow method, is one of the various types of valuations methods, and is a lot similar to the profit multiplier method. The method is based entirely on the estimation of future cash flows of your business over a few years. However, one main difference is that the DCF method considers inflation to calculate the present value. PV, also called the present value, is the value of the company today that you would collect in the future. Let us take for instance that person A offers $2,000 now, or $200 a year for 12 years to person B, beginning next year. Which offer would person B choose? You might think that the second offer where you receive $200 for 12 years is a better offer, since you would get $200 x 12 = $2,400, which is $400 more. Nonetheless, it is important to consider the inflation rate as well. To make the calculation simple, let us take the inflation rate as 5%, so the $200 that you would get the next year is equal to circa $190 this year. The next part would explain things better. In case you took the $2,000 today, you would have invested the cash in something profitable, and this would give you a better return in the next years. On the other hand, with the $200, you would not be able to do what you could have done with the $2,000 as you would not have the opportunity. This is called opportunity cost. In case you had invested the $2,000 into something that would bring you profits where the return is up to 10%. Within 12 years, your money would have grown to $6,277, and the net present value would be $3,495. All these factors needs to be taken into account along with the discounted cash flow valuation. It is important that you determine the income of the company and the expenditures over a few years into the future so that the discounted cash flow can be calculated. By removing the expenses out of the profit, you would be able to get the net cash flow of each year. Removing the expenses from the revenue would give you the new cash flow of each year. Apply the accurate discount rate, called the cost of equity, into the amount of each year for obtaining the net present value of the future profit. After all this has been done and you get the value, this would be the discounted cash flow. With this, the buyer would be able to compare all the investment choices, each having their own level of risk and return that they have with your business. This method has a lot of details and normally a professional can help you with it. Some of these details include considering how many years to calculate, what level of a discount rate you need to apply for each year, the inflation, risks, and also the net present value of the company at the end of the period. This value is called the terminal value. Create & Manage Your Company Cap TableGET STARTED, IT’S FREE! Valuation multiples are the tools used for financial measurement, which helps in evaluating one financial metric as a ratio to another. This is done to make various businesses more comparable. The multiples are the proportion of one financial metric, which is the Share Price to another financial metric, which is the Earnings per Share. It is one of the easiest ways to compute the value of a company and then compare the value with other companies. Let us see the various common multipliers for valuation as explained below. Utilizing the common multiples for valuation helps in making sound judgments for both the companies and the analysts. This is mostly true when the multiples are utilized well, as they offer valuable information about the financial status of a company. Moreover, the multiples are relevant since they include the main statistics for investment decisions. As they are very simple, they are used a lot by analysts. Nevertheless, the simplicity of this method is also its disadvantage. The reason is that it simplifies complex data into just a single value. The simplification can easily lead to misinterpretation and makes it very challenging to break down the effects of various factors. Common multipliers for valuation represent a moment in time of a company, instead of a period. As such, they don’t readily reveal how a business progresses or develops. In addition to this, the multiples indicate short-term information rather than long-term ones. Thus, the final values might just be applicable short lived and not for the long-term future. Price/Sales – computed as the proportion of Share Price to Sales (Revenue) Per Share; utilized in the companies that have losses; utilized for quick estimates. Dividend Yield – computed as the proportion of Dividend Per Share to Share Price; utilized for comparisons between investment types and cash returns. Price/Book Ratio – computed as the proportion of Share Price to Book Value Per Share; useful if assets primarily drive earnings. P/E Ratio – computed as the proportion of Share Price to Earnings Per Share (EPS); needed data is easily accessible; the most commonly used equity multiple. Nonetheless, a financial analyst has to keep in mind that businesses have varying levels of debt and in the end, influence equity multiples. EV/Invested Capital – computed as the proportion of Enterprise Value to Invested Capital; utilized for capital-intensive industries. EV/EBITDA – computed as the proportion of Enterprise Value to Earnings before Interest, Tax, Depreciation & Amortization/Enterprise value; highly utilized enterprise value multiple; EBITDA can be utilized as a substitute for free cash flows. EV/EBITDAR – computed as the proportion of Enterprise Value to Rental Costs and Earnings before Interest, Tax, Depreciation & Amortization; most utilized in industries in the transport and hotel sectors. EV/Revenue – computed as the proportion of Enterprise Value to Sales or Revenue; somewhat influenced by differences in accounting. There are more equity and enterprise value multiples used in company valuation, and this article only presents the most common ones. More reading and a thorough understanding of each multiple and related concepts can help analysts better apply multiples in making financial analyses. Comparable company analysis is a relative valuation method that helps you compare your business value with other similar companies via the comparable company multiples like EV/EBITDA, P/E, or others. This method is also called public market multiples, equity comps, peer group analysis, or even trading multiples. Multiples of EBITDA are one of the most common multipliers for valuation. This method offers an observable value for the business, which is based entirely on what businesses are currently worth. Comps are utilized the most as they are easy to calculate and always gives an accurate current value. The logic follows that, in case a business A trades at a 10-time P/E ratio, and business B has profits of $3.50 per share, business B’s stock would be worth $35.00 per share. This is only if we assume that it is perfectly comparable. Precedent transactions analysis is another one of the types of valuations methods that is a form of relative valuation. In this method, you would be able to compare the business in question with other companies that have currently been acquired or sold in the same industry. The value of the transaction includes the take-over premium, which is in the rate for which they were acquired. These values describe the en bloc value of a company and are beneficial for M&A transactions. The only thing is that they can quickly become outdated, where it no longer reflects the current market as time passes. Due to this reason, they are not used a lot as compared to Comps or market trading multiples. Now that we have understood all about the common multipliers for valuation, let us take an example to understand it better. Imagine that you have a business that is highly successful and you are making a good profit of $60,000 over the past few years. Then your business turns out to be more successful one year, where you earn a profit of about $100,000, which leaves you with about $50,000 retained profit. Now, you want to sell your company and the buyer says that they want to purchase the company on the value based on a 5-year multiple valuations. Even though this seems like a great offer, there are something things that you have to keep in mind. Do you want to create your company valuation reports? Our valuation team has years of experience in delivering the best valuations for companies. 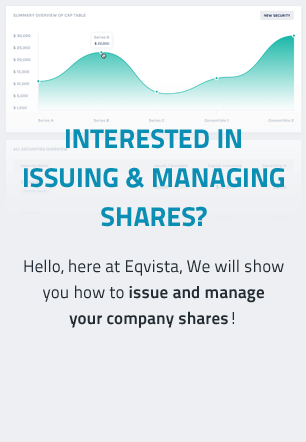 Try Eqvista App, Now! In case it is based on an average profit the company earned in the last 3 years, which would be $53,000 instead of $100,000. If the profit of the company is adjusted based on your raised salary, it may reduce the profit by $20,000 each year. Rather than having a chance of taking the profit of $50,000 with you, you might have to leave it in the company as the working capital amount. With the above considerations kept in mind, you would notice a huge difference in the final price that you get for the company, if any one of the above are true. You would get $265,000 instead of $550,000 after the sale. And this is where the 5-time common multiplier for valuation would not look so attractive now. Hence, it is vital to determine the value that you would choose while using the multiplier. Moreover, the best practise is to make all the calculations first, before going to the negotiations about the price. As mentioned previously, there isn’t only one method in getting the value of your business. Another common method is the Asset Based Valuation where you have to view the total assets of a company. In this method, the focus is not the profit generating capabilities of the company, instead it’s the value of all the assets of the business. Using the asset valuation in place of the other types of valuations methods is normally more realistic in case there is a large number of assets in your business or its long-term profit generating abilities are limited. But just keep in mind that the value you get would be industry specific, and even would depend on the location, the company structure and many other things. This is the reason why you should consult a professional who would be able to help you with this. There isn’t any single valuation method that fits every situation. But if you want to be accurate with what you are estimating, you need to know all the characteristics of the business. Out of all the types of valuations methods, you can choose the one that best suits the situation. It is common for valuators and investors to use more than one method for estimating the value of a company. This is normally to create a range of possible values. Also, consider taking the advice of a professional if you are unsure. Every year, there are many companies around the world that are sold to business or business groups. Nonetheless, many sellers are not sure of how their business has been valued, and others don’t understand the numbers involved in the process. That is why they hire business valuation experts who assess a number of factors using the types of valuations methods when providing an opinion of the fair market value of a company. After reading this article with this knowledge in mind, you can know understand the methods of valuations involved, and check to see if your company valuation is fair. It’s especially important to know these when reviewing areas of your business that are open to interpretation. The next article would help you understand how to maximize your business value.